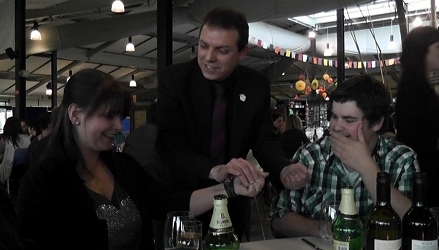 Russ Styler's combination of amazing sleight of hand magic and humour have been key factors that have made Russ the increasingly popular choice of magician for events in Walsall and the West Midlands for weddings, dinner parties, birthday celebrations and corporate events etc. 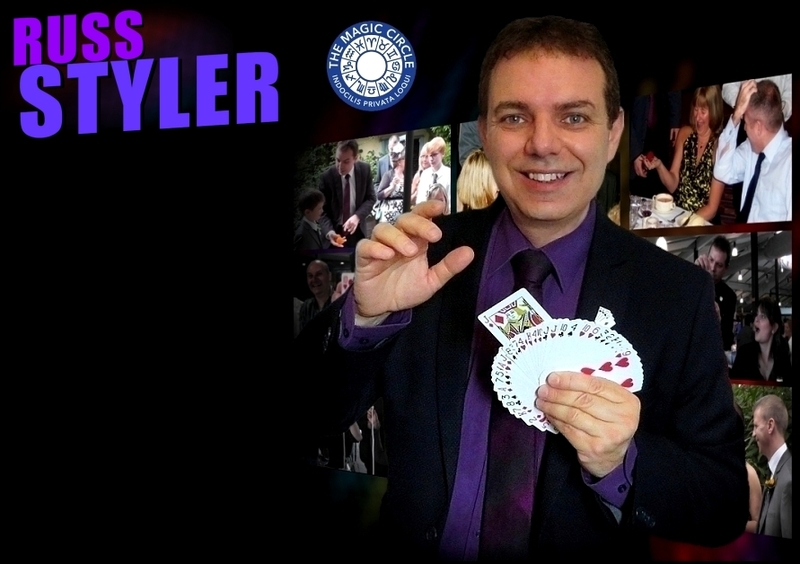 With a wealth of professional experienced in magic, Russ has performed at all kinds of venues in Walsall, and all over the UK including such noteable London Hotels - The Dorchester and Grosvenor House. Having also worked summer seasons as close-up and cabaret magician in the UK and Scandinavia, Russ Styler is a name you can book with confidence. The International Brotherhood of magicians and Equity. 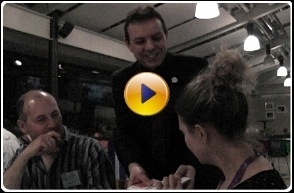 With a wealth of professional experienced in magic, Russ has performed at all kinds of venues in Walsall and all over the UK including such noteable London Hotels, The Dorchester and Grosvenor House. Having also worked summer seasons as close-up and cabaret magician in the UK and Scandinavia, Russ Styler is a name you can book with confidence. Call or email now for an availability check / quote for your event or party in Walsall and maybe Russ will be bringing his magic to amaze and entertain you and your guests soon! Professional Close Up Magician / Table magician or show. Also ideal for an anniversary party, garden party, pre-dinner drinks receptions, studen prom, the list goes on! Memorable magical entertainment. Enquire for costs / prices. 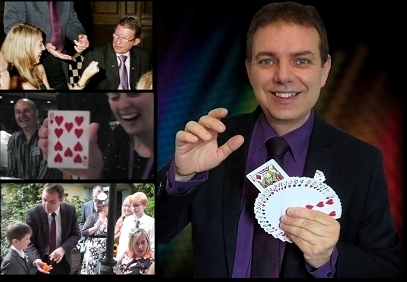 Magician for hire in Walsall, Bloxwich, Willenhall, Wednesbury, B'ham UK.